“Angel of God, my guardian dear, to whom God’s love commits me here. Ever this day, be at my side, to light and guard, to rule and guide...” So went a prayer we were made to recite in an elementary school run by nuns. I do not hear that prayer anymore. In a modern world where much of Catholic mysticism has been uncloaked by the theories of Science, it is difficult to conceive – especially for the young, who were born into this very modernity – that there are spiritual beings sent down from the Heavens to guard and guide humankind. 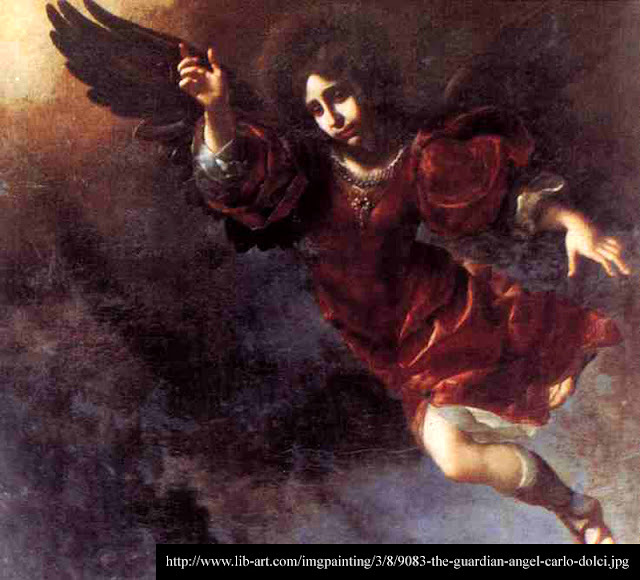 In a Biblical sense, angels were said to be messengers from God. Foremost among the Bible’s stories about angels was that of Gabriel, sent to pay the Virgin Mary a visit to deliver the good news that she had been chosen to give birth to the Son of God. Traditions that date back to antiquity, though, also portray angels as spiritual beings sent to look over individual persons to protect them from harm or lead them out of their distress. These, in Judeo-Christian societies, were the so-called Guardian Angels. 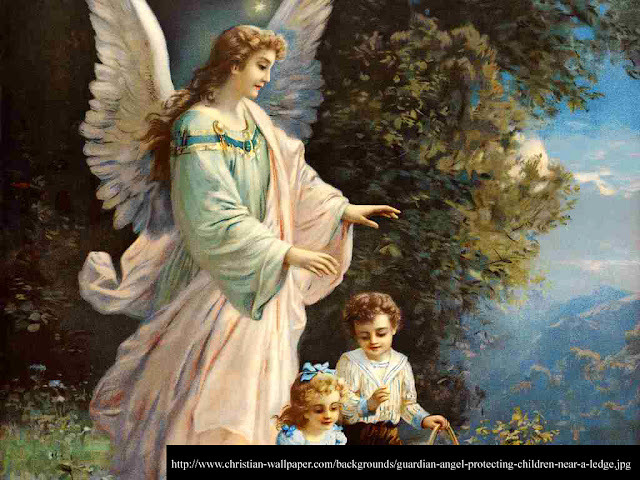 As a little boy under the care of the nuns, belief in one’s Guardian Angel came naturally. There were enough icons in school to remind us of their existence. Ahhh... We would nod our heads, not really sure we understood what Sister was talking about. We just accepted what she said as the truth. Sister never lied! As I became engrossed with the task of growing up, and as childhood naiveté began to wear away, I started to think less and less of my Guardian Angel. Yet, in my lifetime, I can think of at least three occasions when – I am now sure – there must have been some unseen intervention; else you would not be reading this story. The first happened when I was in Grade 3. What most people now know as the Plaza Independencia in front of the Cathedral of St. Sebastian used to be the site of a school building. We used to refer to that building simply as "Annex," since the main building was right next to the cathedral. Annex used to be surrounded by iron fencing, which was convenient because kapitang bakal used to be such a fad. This was just a variation on the game tag. You could not be tagged if you were holding onto anything metallic. It was while playing this game one sunny morning with classmates when I ran towards and held onto a grounded lamp post with both my palms. I immediately went into convulsions as the electricity surged through my body. I was conscious and, to this day, I remember how much pain I was in. Then, after what seemed like an eternity, my hands felt like they were pulled away from the grounded post. I was able to stand after I broke loose; how I managed that I do not know. I was completely shaken; my knees felt wobbly; and I was too stunned to even think about crying. The second incident I already wrote about – albeit trivially – in the story “Puerto Galera.” I was in my junior year in high school; we were on a Biology field trip; and I was walking on a slippery and narrow gangplank to board this poor excuse for a boat. The wooden gangplank was no more than a couple of feet wide. It wobbled when somebody walked on it and it was slippery with sea water. We were crossing one after the other in a line. As the gangplank wobbled, my right foot slipped on the damp wooden surface. I had my bag slung over my shoulder, and its weight could have easily pulled me backwards to fall into the waters of the bay. In that earlier story, I credited regaining my balance to athleticism. There may be no more to the incident than that, if I’m being perfectly honest. Yet, to this day, I still find it odd that I did not get an early dunking. In fact, it almost felt as though a hidden hand yanked me back upright! The final incident happened when I was already in college. I was crossing to the other side of Taft Avenue from school with a friend. Three-fourths of the road was filled with stationary bumper-to-bumper traffic. Crossing three-fourths of the road was mundane enough. The vehicles on the road hardly moved, and there were no vehicles going the opposite direction. I crossed behind a bus towards what seemed like open road. I was getting ready to sprint across the final fourth when something just held me back. In that split second of hesitation, a speeding car – unseen from behind the bus – passed almost directly under my upper body. It missed me by a literal hair! I was, naturally, quite shaken. My heart was beating so hard I thought it would just burst through my chest. I nervously tried to laugh off the incident, but I was also well aware that I could have been left sprawled and in a bloody heap on that very road. I used to have this teacher – she now rests – who used to have such blind faith in angels. She just simply took it for granted that they were just unseen all around us. If we so much as argued with her, she was always quick to point out that the reason we probably did not feel their presence was because we did not pray to them often enough. Who could argue against that? I had always tended to slant onto the side of Science whenever I recalled the experiences I just wrote about in this story. Whatever explanations, though, that I came up with in my head always ended up wanting. Maybe it is just the passing of the years, for all I know! Increasingly, though, I had started to become really convinced that the reason I am still here writing this story is that in each of those three occasions, my Guardian Angel had intervened to prevent impending disasters. When I think of things this way, I feel like I have no further need to rationalize things inside my head. Maybe my teacher just knew something we often just shrug off: that there are, unseen, angels sent to watch over us!